I remember a funny moment about 10 years ago when a client figuratively slammed the door on me. Ouch. Funny, I was the “telemarketer” she was talking about. I put her on the back burner as a prospect and went about calling on other clients. Her remark stung a bit, though, as I did NOT like being lumped into the same category as a telemarketer. There was something to gain from her biting parting comment. I had to reconsider how I was communicating; what messages were compelling people to respond? Why did she think I was a telemarketer – were my messages annoying, self-serving, and repetitive? I can’t say my messaging improved entirely because of or in immediate response to that conversation but what DID happen is I evolved my prospecting and messaging into a much more valuable and finely tuned process that converts at much higher rates today. Familiarity. Your outreach efforts are more effective when you try to connect with customers through multiple channels. I like to see if someone is active on LinkedIn and start there. Send a personalized connection request letting them know WHY you think it’s worth their time to connect. In a very short time frame, I reach out via phone and email if I can. I repeat this sequence several times to try to connect – usually, it doesn’t take more than one or two times. This approach works to find out which channel or communication method works best for a prospective customer. More importantly, it builds FAMILIARITY. 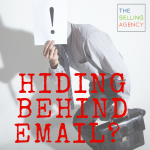 Your name, your voice, your mission, and message are known and become familiar to your buyer. 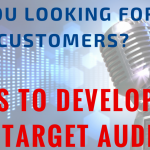 By reaching out multiple times, you’re making yourself known – your buyer becomes aware of you and then when you show up in a LinkedIn Feed, an email, or on caller ID, there is a familiar connection to your name (ideally, connected to value – the next key point). Whether it’s piquing their curiosity to talk or they pick up the phone to tell you they’re not interested, building familiarity gets responses. Value. Every touch point must contain value. Oh, we preach it. You’ve heard it. 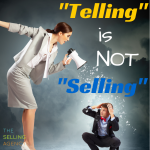 But what is VALUE in sales messaging? First and foremost – tell your prospect WHY you’re reaching out. Do you have experience with similar clients? Do you know mutual people? Did you see something compelling on social media? Sellers miss this connection A LOT. I get messages on nearly a daily basis that suggest I connect or should respond for a chat. Rarely does the seller connect their value with something I find VALUABLE! As a buyer, I want to know that you’re not going to waste my time – and that’s clear when you tell me WHY we should talk, WHAT insights you’re going to share, and HOW you’ve researched my business. Keep leveraging the WHY, WHAT, and HOW when you craft or share messages. No EMPTY or LAME messages will get you responses. Grit. All along the buyer’s journey – your sales process is giving potential customers a “sneak peek” at what it’s like to do business with you. A HUGE percentage (maybe 80%) of sellers abandoned a prospect in the sales process way too early because they haven’t gotten a response to their initial one or two touches. You may think you don’t have a relationship yet but trust me; they’re paying attention – even if it’s to ignore you and delete your messages. You’re leaving impressions. Rarely is there ever a “Golden Email” that converts every customer the first time every time. Or, what I call the “Unicorn Phone Call” where you magically nail the conversation and earn that customer right then and there on the spot. No, it’s your sales process – building familiarity, delivering bits of value, and being PERSISTENT – that compel responses to you. If you give up because you think a prospect is ignoring you, you might be wrong. They might be testing you, instead – To see if you really want their business, to see if you go the distance for them, to see if you will waste their time. I’ve seen and heard the GOOD, the BAD, and definitely the UGLY of business development and prospecting practices. Be better than your competitors. Trust me. 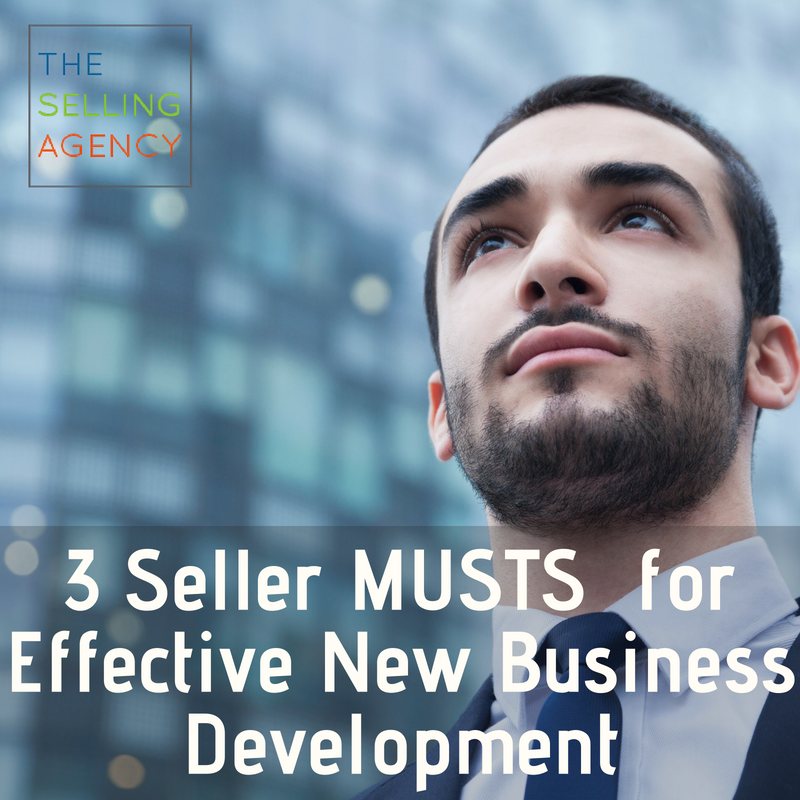 Most of them are in the “pretty terrible” category – hoping to advance to “average.” If you are responsible for new business, amp up your skill in these 3 key areas and you will be a breath of fresh air calling on customers. Until next time, stop hoping, and start SELLING! Oh, and PS – That customer that thought I was a telemarketer? I returned to her about six months after that last call. I walked in with a colleague that had just brought her on board (after I sent her the lead) for office products. She was more than pleased to listen to my solution and was thrilled to sign on with us and became a great client. She never even mentioned my less than stellar calls. Lol. The great thing about being in sales is that there are almost ALWAYS second chances.